After an injury or diagnosis, you have a million worries and questions going through your mind. We understand how confusing and scary it can be and how much you need the tools and resources to get back to normal. Take charge of your recovery with the guidance of Peak Performance Physical Therapy—whenever and wherever it’s best for you. Find us in four different parishes on both sides of the Mississippi River. All of our locations are staffed with exceptional therapists and technicians and accept the major insurance plans. The majority of our services and treatments occur at each of our locations so you can pick the one that’s most convenient to your home or work. 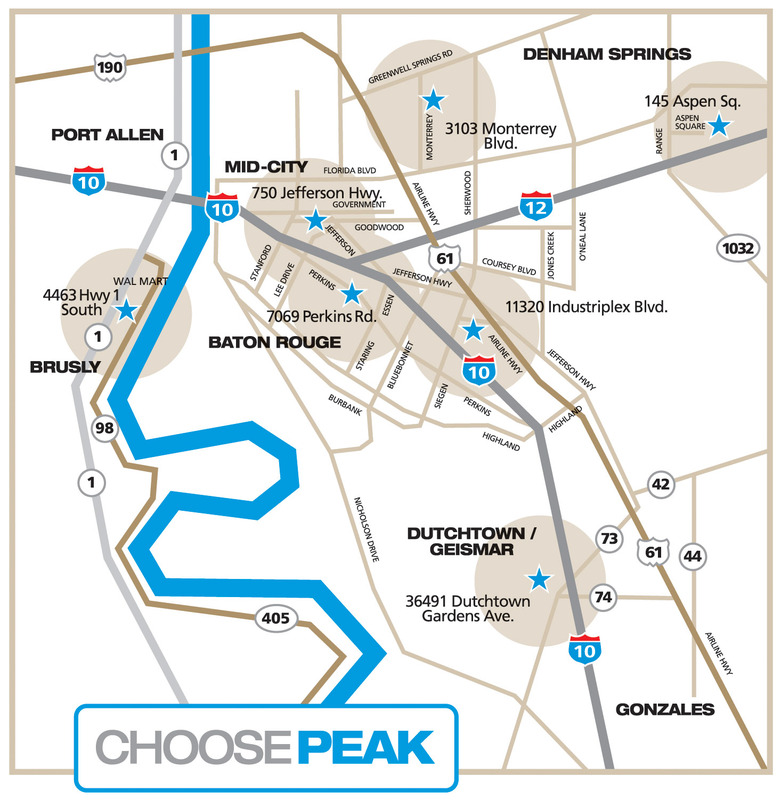 Peak Performance Physical Therapy locations are all open five days a week, most with hours that can accommodate appointments into the early evening. Peak Performance is here to guide you back to being a better you. Choose the location that works best for you to learn more.